صرفه جو, محمدعلی, محمودیان, علیرضا, افضلی گروه, داریوش. (1397). تولید پوشش نانو کامپوزیتی یکنواخت پلی پیرول نانولوله کربنی/کادمیم اکساید برای محافطت از خوردگی فولاد زنگ نزن آستنیتی 304. علوم و فناوری کامپوزیت, 5(3), 377-386. محمدعلی صرفه جو; علیرضا محمودیان; داریوش افضلی گروه. "تولید پوشش نانو کامپوزیتی یکنواخت پلی پیرول نانولوله کربنی/کادمیم اکساید برای محافطت از خوردگی فولاد زنگ نزن آستنیتی 304". علوم و فناوری کامپوزیت, 5, 3, 1397, 377-386. صرفه جو, محمدعلی, محمودیان, علیرضا, افضلی گروه, داریوش. (1397). 'تولید پوشش نانو کامپوزیتی یکنواخت پلی پیرول نانولوله کربنی/کادمیم اکساید برای محافطت از خوردگی فولاد زنگ نزن آستنیتی 304', علوم و فناوری کامپوزیت, 5(3), pp. 377-386. صرفه جو, محمدعلی, محمودیان, علیرضا, افضلی گروه, داریوش. تولید پوشش نانو کامپوزیتی یکنواخت پلی پیرول نانولوله کربنی/کادمیم اکساید برای محافطت از خوردگی فولاد زنگ نزن آستنیتی 304. علوم و فناوری کامپوزیت, 1397; 5(3): 377-386. در این پژوهش یک فیلم یکنواخت پلی پیرول کادمیم اکساید/ نانولوله کربنی برای محافظت از فولاد زنگ نزن آستنیتی 304 در مقابل خوردگی در محیط اسیدی 0.5 مولار هیدروکلریک اسید تولید شد. برای این منظور از روش رسوب‌شیمیایی برای سنتز CNT/CdO استفاده شد. از روش سنتز الکتروشیمیایی برای پوشش دهی سطح فولاد و یافتن شرایط بهینه آن استفاده شد. از آزمون‌های پلاریزاسیون برای به دست آوردن میزان بهینه نانو کامپوزیت استفاده شد. برای بررسی‌های مورفولوژیکی از میکروسکپ نوری و میکروسکپ الکترونی روبشی SEM استفاده شد. نتایج نشان می‎دهند که نانو کامپوزیت نهایی از مقاومت خوبی در مقابل خوردگی برخوردار است و وجود CNT/CdO درزمینهٔ پلیمری میزان تخلخل فیلم پوششی را کاهش داد. همچنین نتایج بیان کردند که چگالی جریان بهینه اعمالی برای پوشش دهی و pH بهینه برای آماده سازی محلول الکتروپلیمریزاسیون به ترتیب مقادیر mA/cm24 و 9 است. مقدار 0.5% وزنی_ حجمی نانولوله کربنی عامل دار شده با کادمیم اکساید بهینه تقویت کننده نانو کامپوزیتی در زمینه پلی پیرول تعیین شد. پوشش نانو کامپوزیت پلی پیرول نانولوله کربنی/کادمیم اکساید تشکیل شده بر سطح فولاد زنگ نزن آستنیتی 304 بیش از 98% از خوردگی آن در محلول 0.5 مولار هیدروکلریک اسید محافطت کرد. In this research, a uniform film of polypyrrole/CNT/cadmium oxide nanocomposite was produced to protect the austenitic stainless steel 304 against corrosion in 0.5 molar hydrochloric acid medium. For this purpose, the chemical deposition method was used for CNT / CdO synthesis. Electrochemical synthesis method was used to coat the stainless steel and to find optimal coating conditions. Polarization tests were used to find the optimum amount of reinforcement nanocomposite. Optical microscope and scanning electron microscope (SEM) were used to study the morphology of coating. Results showed that the final nano composite had a remarkable corrosion resistance and the presence of CNT / CdO reduced the porosities in the final polymer film. Also coating results showed that the optimum amount of apply current density and pH for electropolymerization were 4mA/cm2 and 9 respectively. The 0.5% weight-volumetric functionalized carbon nanotube with Cadmium Oxide was determined as optimum amount of nano composite reinforcement using a polypyrrole matrix. Polypyrrole Carbon nanotube/Cadmium Oxide nanocomposite coating on the surface of austenitic stainless steel 304 protected more than 98% against corrosion in a 0.5 M solution hydrochloric acid. Olad, A. and Naseri. B., “Preparation, Characterization and Anticorrosive Properties of a Novel Polyaniline/Clinoptilolite Nanocomposite” Prog. Org. Coatings, Vol. 67, No. 3, pp. 233–238, 2010. Duchet, J. Legras, R. and Demoustier-champagne, S., “Chemical Synthesis of Polypyrrole : Structure – Properties Relationship” Synthetic Metals, Vol. 98, No. July, pp. 113–122, 1998. Lu, G. Li, C. and Shi, G., “Polypyrrole Micro and Nanowires Synthesized by Electrochemical Polymerization of Pyrrole in The Aqueous Solutions Of Pyrenesulfonic Acid” Polymer, Vol. 47, pp. 1778–1784, 2006. Kamal, MM. and Bhuiyan, AH., “Direct Current Electrical Conduction Mechanism in Plasma Polymerized Pyrrole Thin Films Kamal & Bhuiyan” Synthetic Metals, Vol. 2, No. 2, pp. 1–9, 2014. Wang, J. K. Neoh, G. and Kang, E. T., “Comparative Study of Chemically Synthesized and Plasma Polymerized Pyrrole and Thiophene Thin Films” Thin Solid Films, Vol. 446, pp. 205–217, 2004. 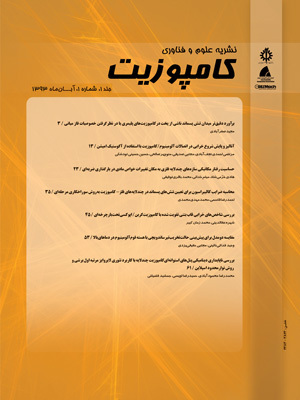 Sharifirad, M. Omrani, A. Rostami, A. A. and Khoshroo, M., “Electrodeposition and Characterization of Polypyrrole Films On Copper” J. Electroanal. Chem., Vol. 645, No. 2, pp. 149–158, 2010. Skotheim, TA. and Reynolds, JR., "Handbook of Conducting Polymers, processing and application, CRC Press" Taylor & Francis Group, Vol. II, Chapter 8, Marcel Dekker, NewYork, pp. 8.1- 8.13, 1997. Gholami, M. Ghasemi, A. Loghavi, MM. Behkami, S. and Ahamdi-dokht-faraghe, A., “Preparation of a Miniaturised Iodide Ion Selective Sensor Using Polypyrrole and Pencil Lead : Effect of Double-Coating, Electropolymerisation Time, and Current Density” Chemical Papers, Vol. 67, No. 8, pp. 1079–1086, 2013. Tsai, M. Chen, P. and Do, J., “Preparation and characterization of Ppy / Al 2 O 3 / Al Used as a Solid-State Capacitor” Journal of Power Sources, Vol. 133, pp. 302–311, 2004. Navale, ST. Khuspe, GD. Chougule, M. A. and Patil, VB. “Room Temperature NO2 Gas Sensor Based on Ppy / Α -Fe2O3 Hybrid Nanocomposites” Ceram. Int., Vol. 40, No. 6, pp. 8013–8020, 2014. Hosseini, MG. Bagheri, R. and Najjar, R., “Electropolymerization of Polypyrrole and Polypyrrole-ZnO Nanocomposites on Mild Steel and Its Corrosion Protection Performance” Journal of Applied Polymer Science, Vol. 121, pp. 3159–3166, 2011. Alam, R. Mobin, M. and Aslam, J., “Surface & Coatings Technology Polypyrrole / graphene nanosheets / rare earth ions / dodecyl benzene sulfonic acid nanocomposite as a highly effective anticorrosive coating” Surf. Coat. Technol, Vol. 307, pp. 382–391, 2016. Kaushik, BK. and Majumder, MK., "Carbon Nanotube Based VLSI Interconnects, Analysis and Design, Indian Institute of Technology Roorkee" Springer, Springer New Delhi Heidelberg New York Dordrecht London, Chapter 2, pp. 17-30, 2015. Sun, Y. Sun, J. Liu, M. and Chen, Q., “Mechanical Strength of Carbon Nanotube–Nickel Nanocomposites” Nanotechnology, Vol. 18, No. 50, p. 505704(6), 2007. Dai, H., “Carbon Nanotubes : Synthesis, Integration, and Properties” Acc. Chem. Res, Vol. 35, pp. 1035–1044, 2002. McEuen, PL. and Park, J. Y., “E lectron Transport in Single-Walled Carbon Nanotubes” Mrs Bulletin, Vol.29, No. April, pp. 273-275, 2004. Cook, BG. French, W. R. and Varga, K., “Electron Transport Properties of Carbon Nanotube-Graphene Contacts” Appl. Phys. Lett., Vol. 101, No. 15, pp. 10–13, 2012. Yao, Z. Kane, C. and Dekker, C., “High-Field Electrical Transport in Single-Wall Carbon Nanotubes” Phys. Rev. Lett., Vol. 84, No. 13, pp. 2941–2944, 2000. Asli, NA. Shamsudin, MS. Falina, AN. Azmina, MS. Suriani, AB. Rusop, M. and Abdullah, S., “Field Electron Emission Properties of Vertically Aligned Carbon Nanotubes Deposited on a Nanostructured Porous Silicon Template: The Hidden Role of The Hydrocarbon/Catalyst Ratio” Microelectron. Eng., Vol. 108, pp. 86–92, 2013. Tripathi, AK. Jain, V. Saini, K. and Lahiri, I., “Field Emission Response from Multi-Walled Carbon Nanotubes Grown On Electrochemically Engineered Copper Foil” Mater. Chem. Phys., Vol. 187, pp. 39–45, 2017. Okuyama, H. Iwata, N. and Yamamoto, H., “Position-Selective Growth of Vertically Aligned Carbon Nanotubes for Application of Electronic-Measuring Nanoprobes” Phys. E Low-Dimensional Syst. Nanostructures, Vol. 37, No. 1, pp. 49–53, 2007. De Nicola, F. Salvato, M. Cirillo, C. Crivellari, M. Boscardin, M. Passacantando, M. Nardone, M. De Matteis, F. Motta, N. De Crescenzi, M. and Castrucci, P., “100% Internal Quantum Efficiency in Polychiral Single-Walled Carbon Nanotube Bulk Heterojunction/Silicon Solar Cells” Carbon N. Y., Vol. 114, No. 2017, 2017. Alimohammadi, V. Sedighi, M. and Jabbari, E., “Experimental Study on Efficient Removal Of Total Iron From Wastewater Using Magnetic-Modified Multi-Walled Carbon Nanotubes,” Ecol. Eng., Vol. 102, pp. 90–97, 2017. Hayati, B. Maleki, A. Najafi, F. Daraei, H. Gharibi, F. and McKay, G., “Synthesis and Characterization of PAMAM/CNT Nanocomposite as a Super-Capacity Adsorbent for Heavy Metal (Ni2+, Zn2+, As3+, Co2+) Removal From Wastewater” J. Mol. Liq., Vol. 224, pp. 1032–1040, 2016. Xu, D. Li, B. Wei, C. He, YB. Du, H. Chu, X. Qin, X. Yang, Q. H. and Kang, F., “Preparation and Characterization of MnO2/acid-treated CNT Nanocomposites for Energy Storage with Zinc Ions” Electrochim. Acta, Vol. 133, pp. 254–261, 2014. Aravindan, N. Sangaranarayanan, M. V., “Influence of Solvent Composition on the Anti-Corrosion Performance of Copper–Polypyrrole (Cu–Ppy) Coated 304 Stainless Steel”. Progress in Organic Coatings. 2016 Jun 30; 95:38-45. Kumar, A. M. Rajendran, N., “Influence of Zirconia Nanoparticles on the Surface and Electrochemical Behaviour of Polypyrrole Nanocomposite Coated 316L SS in Simulated Body Fluid”. Surface and Coatings Technology. 2012 Dec 31; 213:155-66. Ruhi, G. Modi, OP. Dhawan, SK., “Chitosan-Polypyrrole-SiO2 Composite Coatings with Advanced Anticorrosive Properties.Synthetic Metals”. 2015 Feb 28; 200:24-39. Alam, R. Mobin, M. Aslam, J., “Polypyrrole/Graphene Nanosheets/rare Earth Ions/dodecyl Benzene Sulfonic Acid Nanocompositeas a Highly Effective Anticorrosive Coating”. Surface and Coatings Technology. 2016 Dec 15; 307:382-91. Ananth, K. P. Nathanael, A. J. Jose, S. P. Oh, T. H. Mangalaraj, D., “a Novel Silica Nanotube Reinforced Ionic Incorporated Hydroxyapatite Composite Coating on Polypyrrole Coated 316L SS For Implant Application”. Materials Science and Engineering: C. 2016 Feb 1; 59:1110-24. Feng, J. Xiong, S. Qian, Y. and Yin, L., “Synthesis of Nanosized Cadmium Oxide (CdO) as a Novel High Capacity Anode Material for Lithium-Ion Batteries: Influence of Carbon Nanotubes Decoration and Binder Choice” Electrochim. Acta, Vol. 129, pp. 107–112, 2014. Badawi, A. Al-Hosiny, N. Abdallah, S. Merazga, A. and Talaat, H., “Single Wall Carbon Nanotube/Titania Nanocomposite Photoanodes Enhance The Photovoltaic Performance of Cadmium Selenide Quantum Dot-Sensitized Solar Cells” Mater. Sci. Semicond. Process. Vol. 26, No. 1, pp. 162–168, 2014. Aeiyach, S. Aaron, J. J. and Diderot, D., “Of Strongly Adherent Coating on Iron and Mild Steel in Aqueous Media” Vol. 41, No. l, pp. 1801–1809, 1996. Pan, TJ. Zuo, XW. Wang, T. Hu, J. Chen, ZD. Ren, Y. J., “Electrodeposited Conductive Polypyrrole/Polyaniline Composite Film For the Corrosion Protection of Copper Bipolar Plates in Proton Exchange Membrane Fuel Cells”. Journal of Power Sources. 2016 Jan 20; 302: 180-8. Ruhi, G. Bhandari, H. Dhawan, S. K., “Designing of Corrosion Resistant Epoxy Coatings Embedded With Polypyrrole/Sio 2 Composite”. Progress in Organic Coatings. 2014 Sep 30; 77(9):1484-98.